The human race is dying. It certainly won’t happen this year or even this decade, but the steady degeneration of human DNA would eventually lead to the total extinction of humanity given enough time. The reason that we are heading toward extinction is the increasing number of mutations that are being passed down from generation to generation. 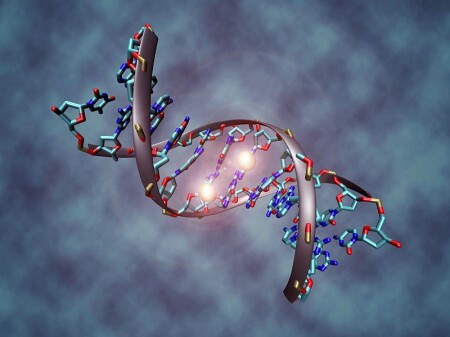 According to Dr. John Sanford of Cornell University, every one of us already carries tens of thousands of harmful mutations, and each of us will pass on approximately 100 new mutations to future generations. Humanity is degenerating at an accelerating pace, and at some point the number of mutations will become so great that we will no longer be able to produce viable offspring. This is not going to happen in the immediate future, but already signs of DNA degeneration are all around us. Despite all of our advanced technology, genetically-related diseases are absolutely exploding. Our bodies are weak and frail, and with each passing generation it is getting even worse. Most people don’t understand this. Most average people on the street just assume that the human race will be able to go on indefinitely. However, directly contradicting mutation’s central role in life’s diversity, we have seen growing experimental evidence that mutations destroy life. In medical circles, mutations are universally regarded as deleterious. They are a fundamental cause of ageing, cancer and infectious diseases. Even among evolutionary apologists who search for examples of mutations that are beneficial, the best they can do is to cite damaging mutations that have beneficial side effects (e.g. sickle-cell trait, a 32-base-pair deletion in a human chromosome that confers HIV resistance to homozygotes and delays AIDS onset in heterozygotes, CCR5–delta32 mutation, animal melanism, and stickleback pelvic spine suppression). Such results are not at all surprising in the light of the discovery that DNA undergoes up to a million damage and repair events per cell per day. So no, we are not going to “evolve” into bigger and better creatures. Instead, the human race is steadily breaking down and our time is running out. Even a rate of 100 has profound implications, and the mutation rate is itself increasing. Furthermore, most, if not all, mutations in the human genome must be deleterious. 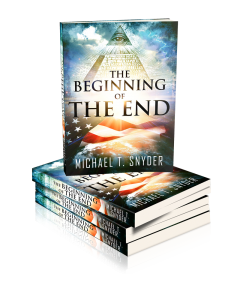 “And nothing can reverse the damage that has been done during our own generation, even if further mutations could be stopped.” (P. 40). It would appear that the process is an irreversible downward spiral that will end in “mutational meltdown”. So how long do we have until “mutational meltdown”? The author cites research showing that the human race is currently degenerating at 1 – 2 % per generation due to accumulation of mutations. At a 1% decline in fitness per generation, there is a sharp reduction in fitness after 300 generations (about 6,000 years). One of the most interesting revelations in Genetic Entropy is Dr. Sanford’s and other workers’ analysis of the Biblical account of life expectancies. In a statistical regression analysis of declining life spans since Noah (lived 950 years), after 32 centuries since Noah the life expectancy has declined to about 70. The remarkable aspect is that this curve, which shows a sharp drop-off after Noah and a more gradual decline about 1,000 years ago, is that it is very similar to theoretical curves presented by other researchers that show genetic degeneration. Either Moses faithfully recorded the events (and ages) recorded in Genesis, or he was a skilled statistician who made up data with a remarkable fit to an exponential curve! Other scientists put the lifespan of the human race significantly higher, but without a doubt there is a growing awareness in the scientific community that the human race is slowly heading toward extinction. Is time running out for the human race or do we have plenty of time left?